Two differing perspectives on the basic educational right to critique vogue dogmas. 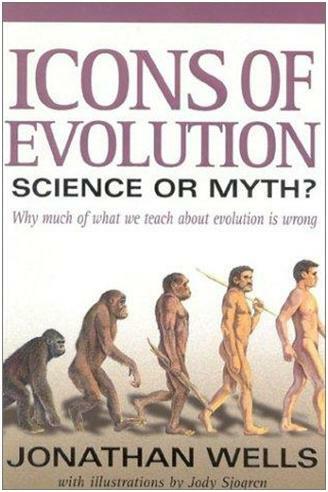 In the first instance, this cheap shot from New Zealand presenting a strawman caricature of the Intelligent Design/Evolution controversy. Then there's this from Louisiana, which seems to have the measure of the debate pretty well sussed. A 51 year old sickness beneficiary in Kaitaia has been arrested for the murder of 23 year old hairdresser Marie Jamieson several years ago. The arrest follows fresh DNA tests. Is this proof Obama’s birth certificate is fake? 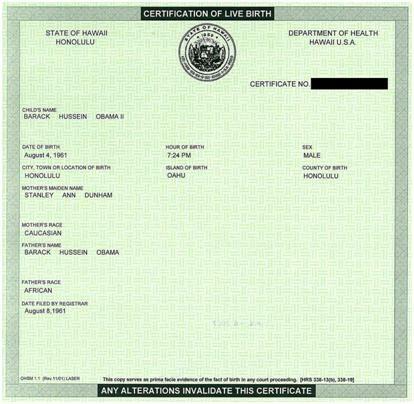 The first image is a copy of what the Obama campaign insists is the genuine birth certificate of presidential hopeful Barack Obama. 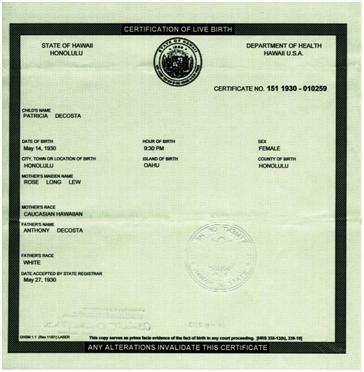 Unlike this other Hawaiian birth certificate (below), Obama's is not officially "sealed". The significance of all this is that Obama's campaign could be nullified if, in fact, he is not a natural-born US citizen. More on the story here. You've got to love those liberals. But why do they hate children sooo much? To all those who insist on focusing on the rather narrow subset of activities governed by the modifications made to s.59 which involve “bashing”, “hitting” etc (insert other inflammatory hyperbolic term here) their kids, maybe a quick reference check to the actual bill / act. Firstly, it considers use of force. smacking is only one small subset of this. Secondly it specifically prohibits any use of force for the purpose of correction. Anyone with a child will quickly tell you that pretty much anything you do for your kids is for the purpose of training them for their life ahead, and this means correcting behaviour. Try teaching your 2 yr old to brush his teeth without contravening this law. And for anyone that takes the above statement to infer that I must be abusing my son when trying to teach him to brush his teeth, I’d suggest you get some counselling for some obviously deep-seated issues - oh, and read the law again. I’ve never raised a finger to my son, and I don’t intend to. However whatever I do for my son will be what is best for him, not what suits some politician’s agenda. And finally, consider what would happen if we took the power to use force for correction away from the police. We wouldn’t be able to enforce law any more. Think of all the money we’d save being able to close all the prisons. The reality is that force IS a solution to some problems (e.g. your country being invaded, people resisting arrest, self-defense and defense of another etc etc etc). We should just accept that, instead of trying to perpetrate the lie that it isn’t. Teaching that lesson to our kids is therefore just one of the lessons they need to learn in life before they become responsible for their own actions. John Key: Has the Prime Minister noticed the trend that all other New Zealanders have noticed, that her Government does not like the New Zealand public being able to express their view on democracy—they are about to be stopped from being able to exercise their democratic view through a referendum on the anti-smacking legislation at the election, and they are being stopped from exercising their democratic rights through the deeply flawed and cynical Electoral Finance Act—and why does the Prime Minister not just admit that she finds the voters of New Zealand an annoyance? John Key: Is the Prime Minister aware that to run a referendum outside of election time would cost millions and millions of dollars, or, once again, does she have so little respect for taxpayers’ dollars that she is prepared to have them wasted when she could just run the referendum at election time; or is she running scared of that election? This is a radical tack rarely seen in Parliament: namely, *representing* the people of New Zealand, rather than nannying them! This should show all the comments, but not the main article. (* I've now used 4 blogging systems: MovableType, Blogger, Wordpress, Typepad. 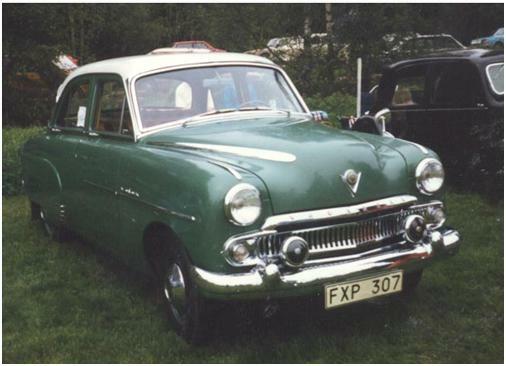 This one (typepad) is generally pretty good... but I reckon wordpress is the best, just quietly). Judging by the dark mood of talk radio callers to the government's move to ban incandescent light bulbs next year, there's a good chance Labour's Sisterhood Singers will be back with a greatest hits ensemble, "Helen Clark: Unplugged". The idea, from the dog-wagging Green Party, is insane. Yes, it will save electricity. BUT, it will also poison thousands of homes each year with mercury. That's because these new energy efficient bulbs, which the marketing gurus have cleverly called "CFLs" rather than "mercury lamps", are so toxic that breaking one requires environmental protection procedures to be put in place. These lamps are inherently unsafe for long term domestic use. They are not suitable for a range of current lighting situations, and they don't tolerate being switched on and off in a short time period. IE, they prefer being left on. They are more expensive than incandescent bulbs, and they currently throw out a cold, harsh light. When the last Labour MP leaves the House, won't someone switch off this daft, Nanny State light ideology as well? I cruised along to the debate between Christian philosopher Bill Craig and NZ Rationalists' Professor Bill Cooke tonight. The first surprise was finding the lecture theatre empty, with a note advising a venue change because the room wasn't big enough. The second surprise was getting to the new lecture theatre, and only just being able to squeeze through the door and finding standing room only. You literally could not move, and the body heat in the upper reaches was incredible. In front of me, hundreds had crammed into the theatre hoping to hear the clash of ideas. While Craig kicked off with a 20 minute dissertation offering five logical proofs for the existence of God, behind me Auckland University security guards were threatening to shut down the theatre because the overcrowding was a "fire hazard". After Bill Cooke's less than convincing response (basically, avoid the main arguments at all costs and obfuscate off on tangents), the debate was interrupted with an announcement that so heavy was the public demand to attend this debate that three lecture theatres had now been filled and one more was left to absorb all the overcrowding from the main auditorium – the other theatres were all taking a live video link of proceedings. By my estimate, somewhere between 700 and 1000 people turned up for the event on a showery Auckland evening. The debate will feature in the next Investigate.